Just because everyone is scrambling to get their hands on the latest, most expensive handsets available in the market doesn’t mean you should follow suit. If what you are looking for is a budget smartphone that does the basics and a little more, this list of the best cheap mobiles of 2016 is for you. We scouted the market, put in the research and came up with this quick list you should definitely check out. While a Windows smartphone isn’t as common as an Android phone, the Microsoft Lumia 650 is a treat you cannot pass up. Loyal followers of this series from Nokia, in particular, will love this budget phone. Priced below £200, the phone boasts a set of great features including a bright AMOLED screen, strong 2,000 mAh battery and Windows 10 operating system. Another cheap mobile phone with an affordable price tag is the OnePlus X. Just like its predecessor, OnePlus One, boasts a premium design that makes it look worth more than its £200 price tag. Key features include a cut-glass backplate with anodised metal frame. The phone sports a 5-inch AMOLED screen running on Android Lollipop. If you want a budget phone with waterproof features, look no further than the Sony Xperia M4 Aqua. Priced somewhere at £160, this great phone is not only friendly to the budget but also to the water. It’s rare for a budget phone to be waterproof so this Xperia offering is a gem worth a second look. Other key features include a great 13-megapixel camera, 1,280×720 display and built-in 4G. If you want a budget phone with a big screen, the Vodafone Smart Ultra 6 is one of the cheapest phablets available in the market today. With 5.5-inch screen and a Full HD display, this sleek looking smartphone with slick performance makes an excellent choice. It also features 4G connectivity as well as a micro SD slot so you can expand your phone’s memory if necessary. This phone is not as easily recognizable as the other options on the list but the Honor 5X is a great phone to look at for the budget-conscious. The phone is priced at £169 with features including EMUI skin, fingerprint scanner and a Qualcomm Snapdragon 616 CPU. When it comes to hardware, this phone is a winner. As for the software, there is more room for improvements. In any case, it’s a cheap phone with a great camera for the selfie lovers. 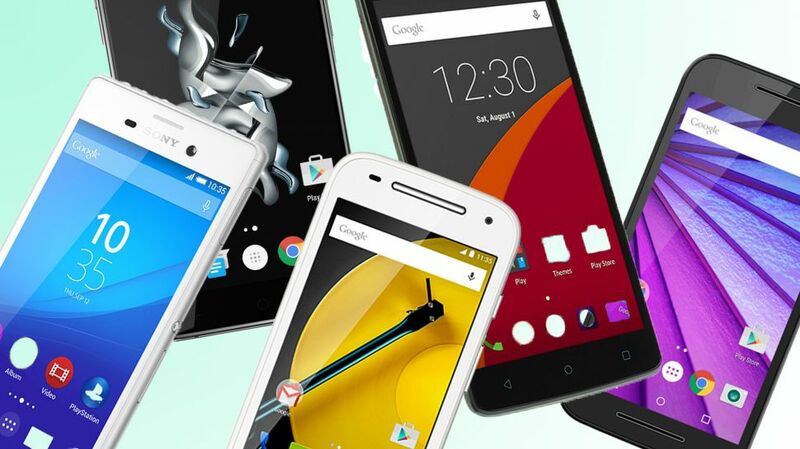 Motorola has been hitting the mark when it comes to cheap mobile phones. One of the best and cheapest options from the brand is the Moto G 3 (2015). While it’s not the cheapest compared to other Moto phones, this 5-inch budget phone with 720p display is cheap enough at around £160. The phone comes with a 13-MP camera with 4G connectivity. Compared to its predecessor, the Moto G 3 features double the original 8GB storage and double the RAM. When it comes to budget mobile phones, the Motorola Moto E 2 is always included on the list. The phone is priced below £100 making it the cheapest phone on the list. For its irresistible price, you also get a set of great features including excellent performance, 4.5-inch screen with 960×540 resolution, 4G connectivity and best of all, a two-day battery life. It’s a budget phone with great features. Mobile phone shopping for the budget-conscious doesn’t get any better than this.